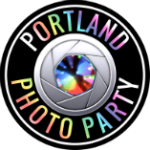 Complete this form to see if Portland Photo Party is available on the date of your company event. If so, we will send you confirmation along with a quote and service agreement according to your indicated requirements. Just return the service agreement to reserve your date. We accept bookings for companies and organizations in the Portland, Oregon / Vancouver, Washington metro area and also serve Salem, Eugene and Corvallis.